Take a look at William Lee Golden's hectic CMA Week! 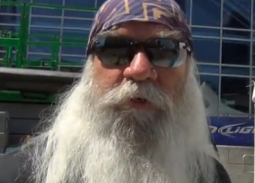 Take a chronological look inside William Lee Golden's hectic 2012 CMA Fest, appearing at nearly every location, with appearances by the Oak Ridge Boys, Bill Anderson, and Bo Bice! Copyright © 2016 William Lee Golden. All Rights Reserved.